reCAPTCHA is a service from Google that helps protect websites from spam and abuse. A “CAPTCHA” is a test to tell human and robots apart. It is easy for humans to solve, but hard for “bots” and other malicious software to figure out. Making everyone’s experience a little bit better by using the solutions to digitize text, annotate images, and build machine-learning datasets. If you see a green checkmark, congratulations! You’ve passed our robot test (yes, it’s that easy). You can carry on with what you were doing. Option 2. Solve a challenge. 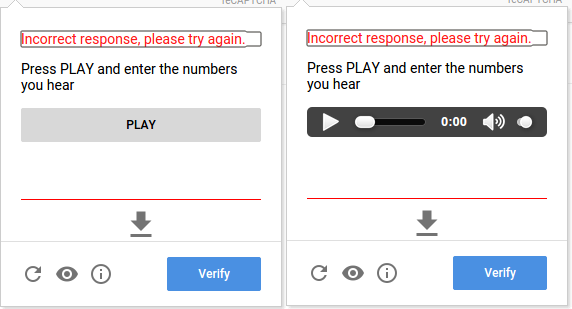 If your answer is correct, the audio challenge will close and the reCAPTCHA checkbox will become checked. 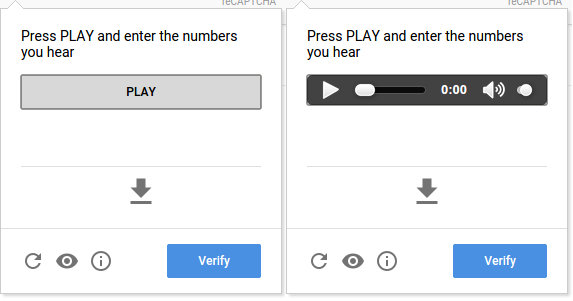 ReCAPTCHA will also notify the screen reader of the successful verification. If the audio doesn’t play, try downloading the audio by locating and clicking on the link. To get a different audio challenge, locate and press the button. 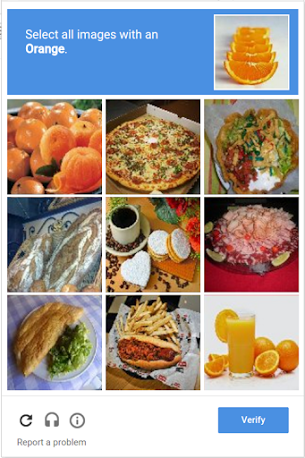 The reCAPTCHA verification expires after a certain amount of time so it is best to complete the reCAPTCHA verification last on a website you are accessing.